World Class Journalist Admits Mainstream Media Is Completely Fake: "We All Lie For The CIA"
According to a recent Gallup poll, only 4 out of 10 Americans trust the mass media. However, this ostensibly optimistic number is likely due to Americans simply distrusting the mainstream media sect which is not in line with their side of the two party paradigm. Liberals have a hard time believing FOX News while conservatives have a hard time believing MSNBC. In the meantime, however, according to Dr. Ulfkotte, all of them are manipulating you, for the same goal — to sell you war. In an interview with RT, Dr. Udo Ulfkotte dropped a bombshell when he stated that the mainstream media writes under direct CIA pressure. Dr. Ulfkotte is not alone in his claims either. As Zerohedge points out, multiple reporters have done the same and this kind of truthfulness is something the world needs more of. These affirmations of state media control, while a few years old, are more relevant now than ever. Americans are slowly but surely being drawn into World War III as the US continues to saber rattle with Russia and China — and they are being told to accept it by their televisions. If these testimonies from former mainstream reporters are not enough, below is definitive proof that mainstream media is scripted. In 2013, Conan O’Brien highlighted dozens of snippets from news outlets and the resultant video compilation is disturbing, to say the least. The crowd laughs at this footage, but the reality of this video below is incredibly disheartening. The question that should be asked here, is where are these talking points originating? Many media stations are owned by the same company. Obrien’s videos touch on a controversial subject, but should it really surprise us that many stories are “scripted”? Unfortunately, the idea of the CIA manipulating media is not reserved for the realms of tin foil hats. The CIA admittedly conducts operations to brainwash the public through media control. This is known as Operation Mocking Bird. 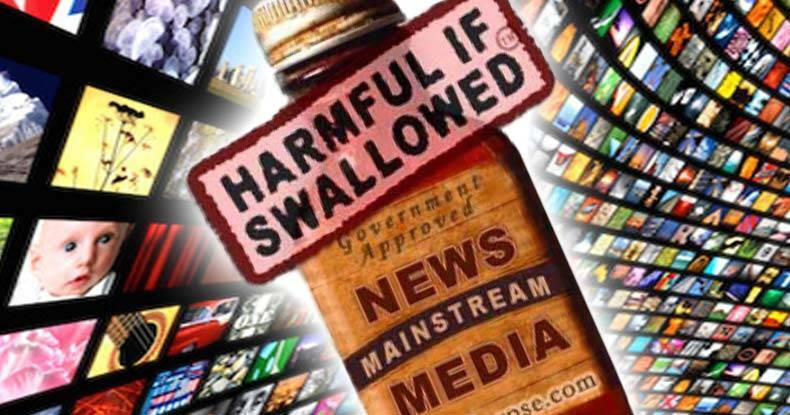 As the Free Thought Project reported last year, leaked emails from the State Department revealed that Operation Mockingbird is alive and thriving in modern-day Police State USA.